I really heart this Simeon Farrar for Japan tee! I love shopping for a good cause, but I think it's important to design tees that would also stand alone. 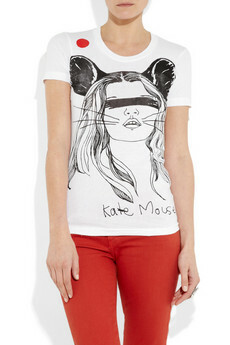 This Kate Mouse print is so cute, I would buy even if 50% of the proceeds didn't go to Japan Red Cross! Buy at Net-A-Porter for $80.